Is R-8 Duct Insulation Enough? Flex duct comes pre-insulated. 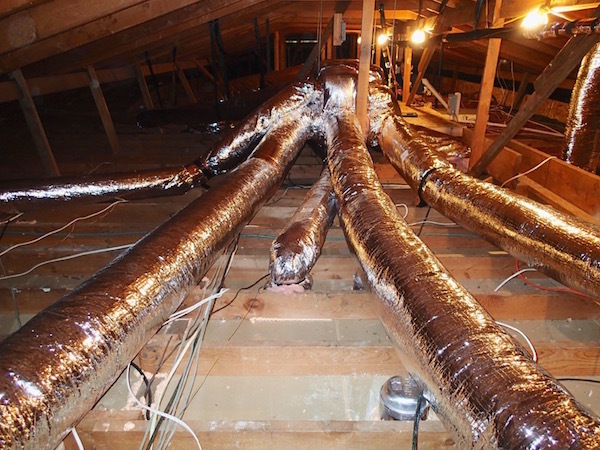 This installation in a northern California attic will also be buried deeply in blown insulation to reduce losses. 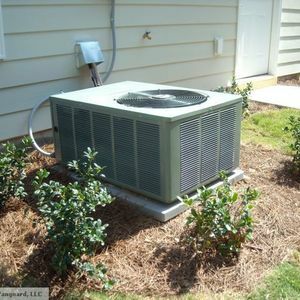 If you know a little building science, you’ve no doubt seen a lot of problems that occur with air distribution systems. 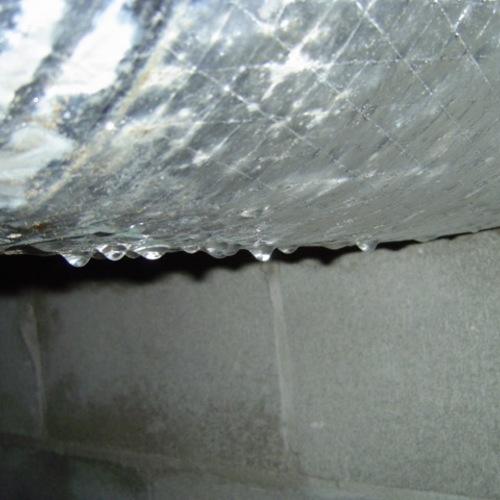 Ducts just don’t get anywhere near the attention they deserve in most homes. I’ve written about ducts quite a bit here and have shown problems resulting from poor design and installation. We all know how stupid some of those problems are. So today I’m going to talk about a problem that doesn’t get nearly enough attention: duct insulation — even when the design and installation are perfect. OK, maybe the design isn’t quite perfect. If it were, all the ducts would be in conditioned space. That would be the smart thing to do and would make duct insulation less important. What I’m talking about is a house with ducts in unconditioned space, especially an unconditioned attic. 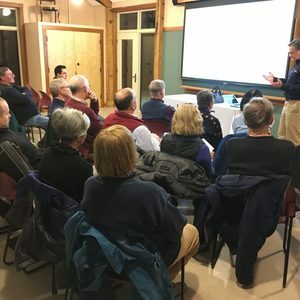 I’m in Georgia (IECC Climate Zone 3), where our current state code requires R-13 in exterior walls, R-18 in attic kneewalls, R-19 in floors, and R-30 in ceilings. 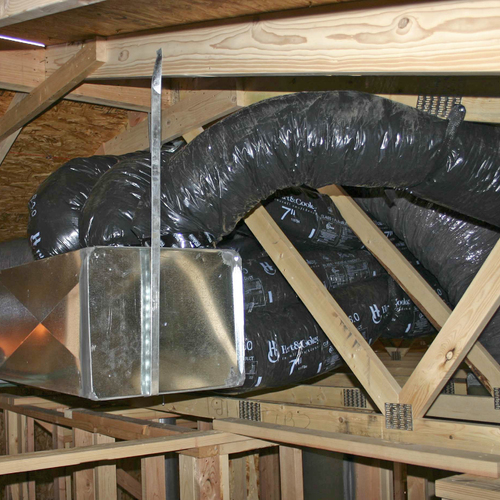 If we put ducts in unconditioned space, they have to be insulated to either R-8 (if they’re in an unconditioned attic) or R-6 (in any other type of unconditioned space). Great article - but temp difference in the returns? Dear Allison: Thanks for the great article. 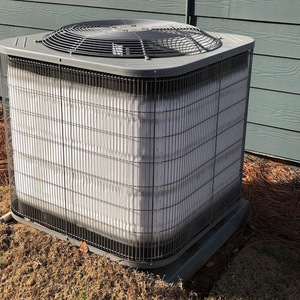 A couple of additional points: Even with ducts running in 'conditioned' space, leaks and inadequate insulation mean that homeowners are paying to deliver a bunch of hot / cool air to the wrong place -- maybe cooling / heating an attic storage area, for example. So it pays to carefully seal all of the joints and add insulation to duct runs no matter where they are. A few questions: In your 'additional load' calculations, did you account for the difference in air temperature for returns vs supply? 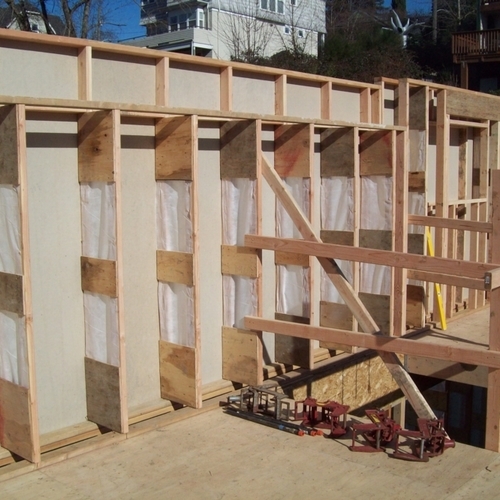 The R-values used for the comparison to walls and crawl spaces also appear to be incorrect; if you place a duct in a wall or crawl space, it would not benefit from the R-value of the complete assembly, filled with insulation. 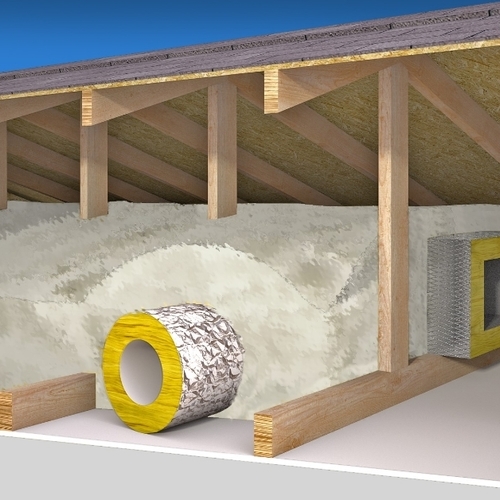 You would have to build duct chases inside walls, and add insulation around ducts in crawl spaces. 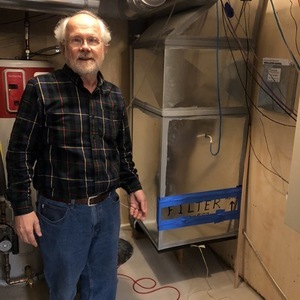 We recently did the later for a project in Massachusetts, where a duct had to run under a floor. We built a box around the insulated duct with XPS foam board, to improve the insulation.